Firestorm in Lego Batman 3: Beyond Gotham video game! This past Sunday it was announced that Firestorm will be joining the Lego Batman 3: Beyond Gotham video game! Check out the promotional piece developed by the folks at Lego Batman! Find the game in stores on Tuesday! There are over 150 playable characters in the game, including our favorite Nuclear Man! 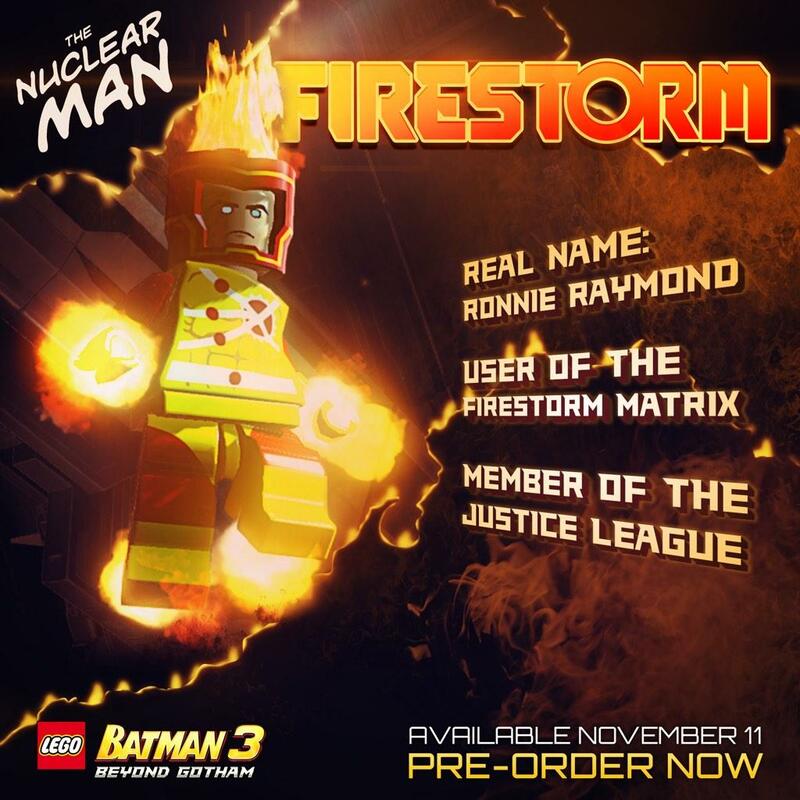 The promotion specifically names Ronnie Raymond, but no mention of anyone else with him in the Firestorm matrix. The costume looks reminiscent of the classic suit, but with the Brightest Day cowl. I guess we’ll find out on November 11! Pre-order your copy now from online retailers or your local video game shop. I purchased mine on Amazon and it should arrive on the day of release. I know what I’ll be doing on Veteran’s Day! Support Firestorm (and Lego Batman 3: Beyond Gotham)! Fan the flame! Posted in: Firestorm #01: Original (Ronnie/Martin), Games, Ronnie Raymond.